Athletes have found their schedules being cut down significantly, though Mr. Paulsen has managed to reschedule a few events. Most prominent among the rescheduled events are the Track-O-Rama, which will be held on April 23rd, a Tuesday, and the the boys’ tennis meet against St. Thomas More, which will be held on April 22nd at the Parkview courts. Of course, if it doesn’t stop snowing the state activities association might have to consider some new events for the state track meet. Perhaps a snowball toss or snowshoe sprint? Mrs. Linde’s spring anatomy class is putting on a blood drive April 26th, so students and staff eligible for donating blood should start planning to use their open blocks for the cause. The drama club may have lost a few days for rehearsal, but their situation was more fortunate than the Stevens drama club, whose opening night followed last week’s two snow days. Due to the time crunch their advisers needed to ask the superintendent for special permission to rehearse on Wednesday. Central students who went to the show, Oklahoma!, said the Raiders did a nice job with the musical. Meanwhile, the spring Cobbler show, Charlotte’s Web, is moving further along in its production. The publicity crew has put up their mysterious sayings in the hallways and actors are now moving “off book” (meaning they’ve got their lines memorized). Tickets go on sale for students and staff on April 29th and the shows run from May 9th to May 11th. Actors and crew should be completely exhausted by the 11th, as they will put on seven shows in those three days (three of which will be special performance’s for Central’s “feeder” elementary schools). 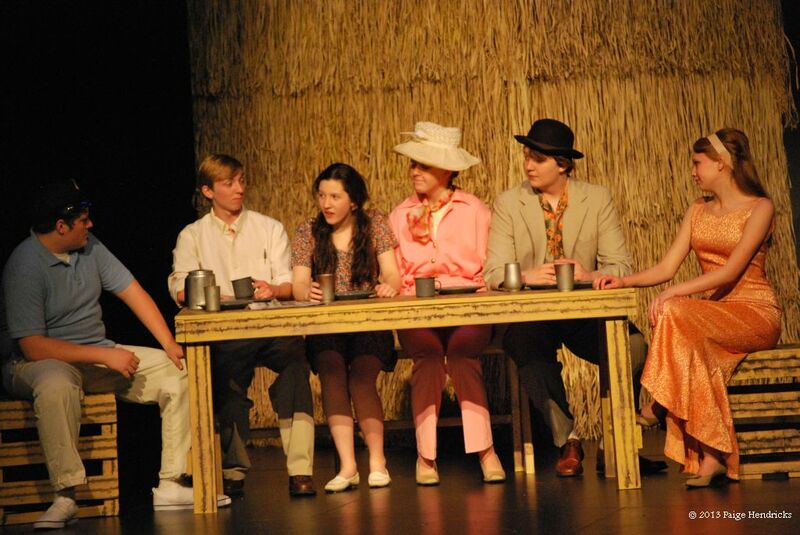 Students perform Gilligan’s Island for the winter one acts. Eighth graders from East, South, and North have begun visiting Central High School in the mornings to see what things are like. Peeking into classes, hanging out in the hallway to watch a passing period, and lunch continue to be the highlight events of the tours. Current Cobblers continue to debate whether the incoming freshmen are taller or shorter than usual. Registration finishes Monday after administration moved it back a day to adjust for Wednesday’s snow day. Students interested in adding classes will be able to do so on Monday, April 29th. Anyone interested in earning credit writing for the Pine Needle, by the way, should see Mr. Sheehy in room C200.